Keep the Winter blues away with a delicious soup recipe! This week we are sharing one of our all-time favourite recipes, the sweet potato and ginger soup! It will stir up loads of nutrients that will help fight unwanted breakouts. Sweet potatoes are rich in vitamins A and C, both of which are known to play an important role in preventing potential breakouts and speeding up the healing process post pimple. Onions and ginger are also two of the best dietary sources of the anti-acne mineral chromium and have strong anti-inflammatory properties. 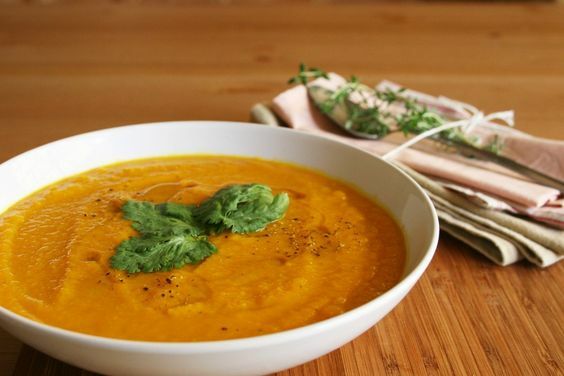 The Sweet potato and ginger soup should warm up your taste buds and leave you feeling healthier and your skin glowing! 1) Heat oil in a medium saucepan over medium heat. Add onions and sauté until golden. 2) Pour in the broth and bring to boil over medium-high heat. Add sweet potatoes, carrots and ginger and reduce heat to medium-low. Simmer until sweet potatoes are easily pierced with a fork (about 20 to 25 minutes). 3) Working in batches, purée soup in a blender to blend soup until it has a smooth texture. Next week we are going to be talking about how to talk to your teen who has started to get body acne (chestne and bacne).